While picking the right mattress model is a very important decision to make sure you get great sleep, so too is making sure you get a mattress that is the appropriate size. You want to make sure you have enough sleeping surface area for you and your partner (if you have one). You also want to make sure that there is enough extra room in your bedroom so that you can move around, hang out, and relax. Here is a summary graphic showing how all the different bed sizes relate to one another. Let’s go through each mattress size. A twin is 74 inches long but just 39 inches wide. That makes it the smallest size available. It’s great for children or adults who are smaller in stature or who live in cramped bedrooms. 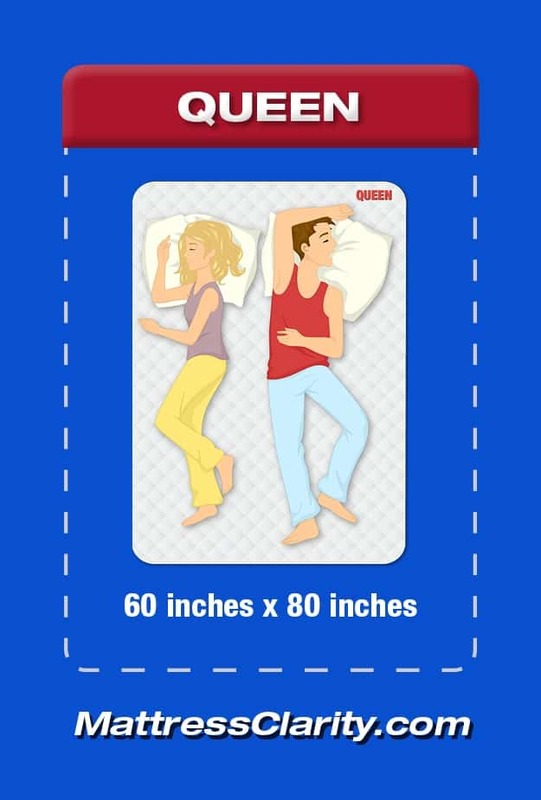 It’s not a recommended size for those sleeping with a partner. A twin XL is 6 inches longer than a Twin but it has the same width. This makes it great for children who are taller or for adults who have constraints with the width of their bedroom but not the length of their bedroom. A full size mattress has the same length as a twin mattress, but it is 15 inches wider. The full mattress can be great for someone sleeping alone who wants a little more room or couples who are smaller in stature. A queen mattress comes in at 60″ x 80″. That makes it wider and longer than a full. This is great for a single person who really likes that extra space and can fit it in his/her bedroom. It’s also big enough for most couples. The only reason to step up from a Queen is if you bedroom is big enough to handle something larger or you just really want extra surface area to sleep on. A king size mattress comes in at 76″ x 80″. That makes it the same length as a Queen but 16″ wider. Couples who really want that extra space to sleep on might do well with a King. It’s probably unnecessarily large for single person. 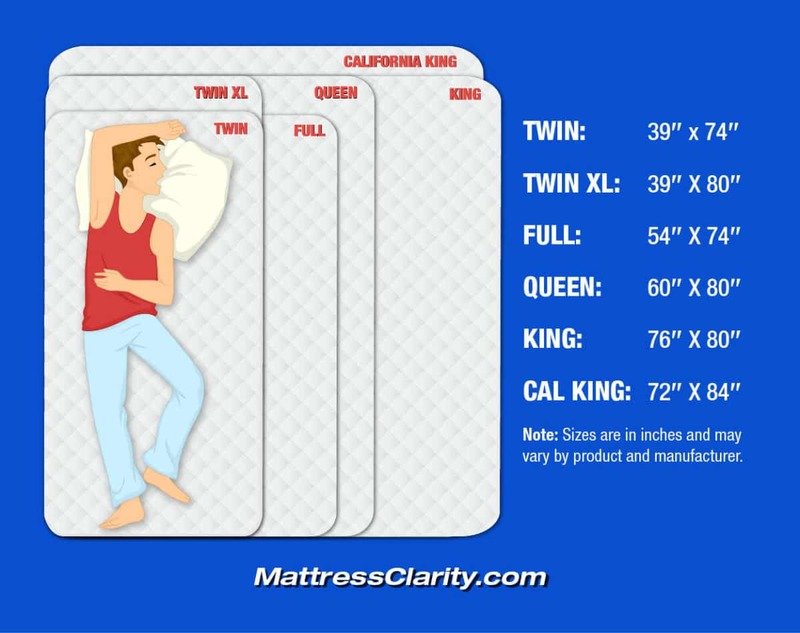 A california king mattress is 4 inches longer than a standard king but 4 inches less wide. Which type you should get depends on how tall you are and how much width you want from your mattress and can reasonably fit in your bedroom. There’s no one right answer. It typically comes down to personal preference. Your reviews are amazing & so helpful???? Hi Suzanne – appreciate the kind words! I haven’t delved too much into bed frames, probably later this year. Sorry I can’t be more helpful!